With its convenient location near Salem and Portland the North Santiam river offers great introductory whitewater in the summertime, with lots of swimming chances. The mild rapids are still splashy and exciting enough with Spencer's Hole and Mill City Falls, its a trip suitable for everyone, whether they be novices or a veteran rafter. The North Santiam river is also a great river for opportunities for wildlife viewing, its not uncommon to see osprey fishing the calm pools, bald eagles perched in riverside nests and river mink scurrying along the banks all the while salmon waiting to jump for their next meal. While in the spring, the water levels rise making it a great class III river. The fall provides beautiful color changes, less crowded waters and a chance to see migrating salmon. The Santiam river is a great river year round with a constant changing character. Exciting rapids year round, but mild enough for families in the summer. $98 for adults and $85 for youth (age 12 and under). A group discount applies to parties of 12 or more. Minimum total trip size is 6 people. If your group (combined with other groups who have requested the same trip) together total less than 6 then your reservation will be on hold until minimum trip size is met. Your credit card will not be charged until trip is confirmed. $67 for adults and $59 for youth (age 12 and under). Our mildest day trip, Summer & Fall. Near Silver Falls State Park. Close to Portland & Salem. "We had a great time! We "bought the boat", signed up for six paddlers on a day and run they don't normally run. 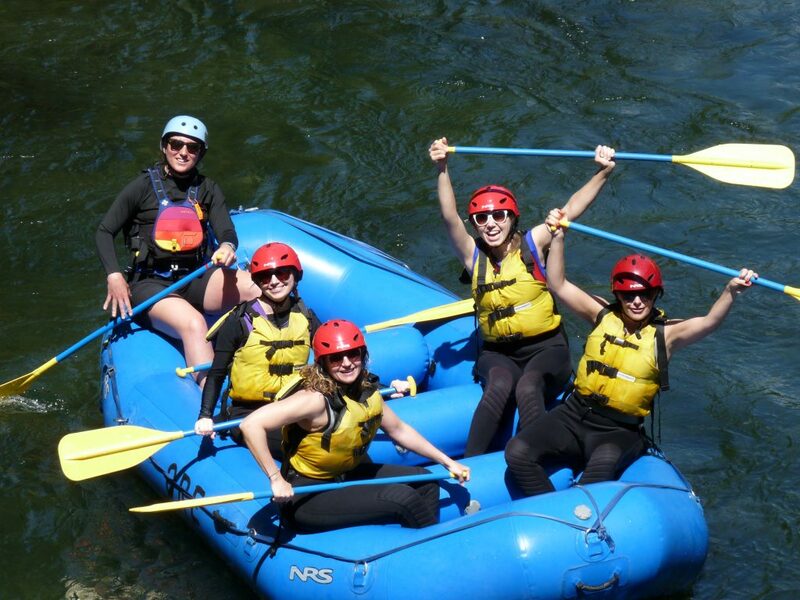 In honor of my mother's 80th birthday; her wish was to go White Water Rafting. After several days of hot/dry weather, the river was quite low and our guide had to seek out some of the rapids we tackled. He did an excellent job of this. He was knowledge of the local water fowl,friendly and courteous." "My friend and I visited Portland and drove down to raft with ORE. It was a great experience. Todd, our guide, knew the river really well. We went through the rapids with no issues and were always prepared for what was coming up. He was knowledgeable about the river and chatted with us throughout the trip. At the end, he took us surfing in the tiny waterfall and we got drenched but had a good laugh at the experience. We highly recommend this company!"